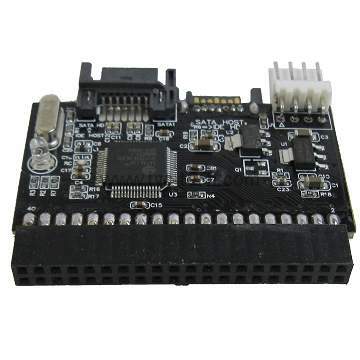 Adapter to convert Interfaces SATA to IDE. BIDirectional Bridge Board used for Either Direction. IDE to SATA Drive Adapter Kit offers a simple way to install Serial ATA hard drives using an available IDE port - a cost-effective solution for using newer SATA drives on a legacy computer or a computer with all SATA connections already in use. SATA to IDE Allows controlling Olders IDE Hard Drives with an Exsisting SATA Bus Cable.